In this comprehensive, state-of-the-art overview of risk communication, the field’s leading experts summarize theory, current research, and practice in a range of disciplines and describe effective communication approaches for risk situations in diverse contexts, such as health, environment, science, technology, and crisis. Offering practical insights, the contributors consider risk communication in all contexts and applications―interpersonal, organizational, and societal―offering a wider view of risk communication than other volumes. Importantly, the handbook emphasizes the communication side of risk communication, providing integrative knowledge about the models, audiences, messages, and the media and channels necessary for effective risk communication that enables informed judgments and actions regarding risk. 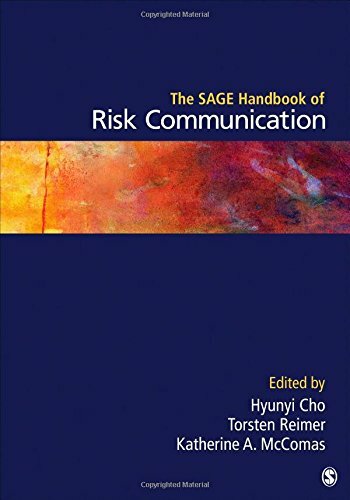 Editors Hyunyi Cho, Torsten Reimer, and Katherine McComas have significantly contributed to the field of risk communication with this important reference work―a must-have for students, scholars, and risk and crisis communication professionals.